Montezuma was settled following nearby silver discoveries in 1865. It wasn't until 1868, after the first road over Loveland Pass was completed that Montezuma started to grow. By 1869, Montezuma was the center of one of Colorado's top mining districts. The town of Montezuma was incorporated in 1881, and the first local newspaper was published in 1882. By the peak of the Colorado Silver Boom, the town reportedly had a population of around 10,000 people. The silver bust of 1893 brought an end to the boom at Montezuma. Montezuma never entirely died out. 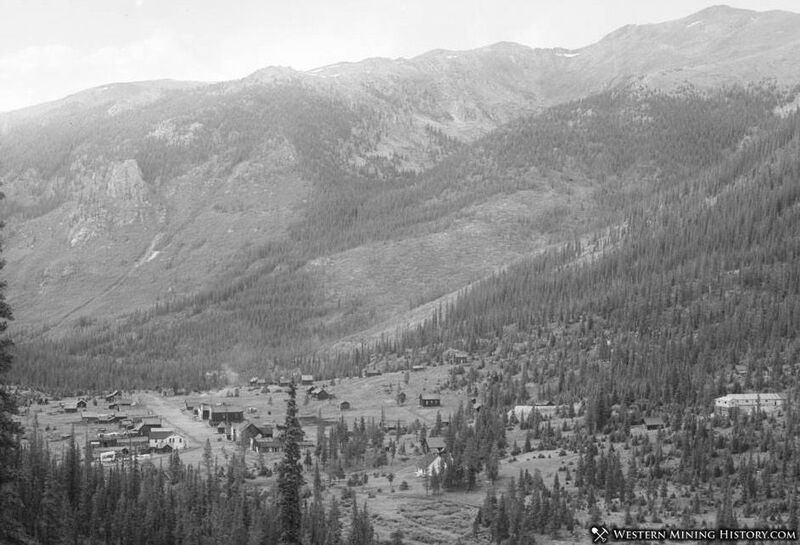 Sporadic mining kept the town going until nearby ski resorts made the area attractive as a recreation area. Today the town has around 60 full-time residents and a handful of historic buildings remain intact.